A group of soccer players play on San Francisco's Minnie & Lovie Park, which has artificial turf installed. Voters appear to have rejected San Francisco's Proposition H and approved Proposition I, clearing a path for the installation of artificial turf and nighttime lighting at athletic fields in Golden Gate Park, according to complete unofficial election results. 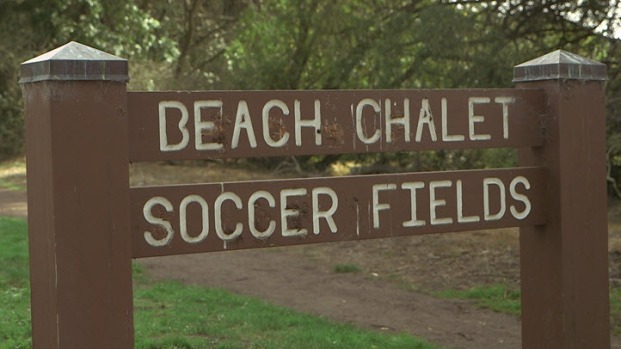 San Francisco residents appear to have approved the use of a multi-million dollar private donation to install turf and lighting at the Beach Chalet soccer fields on the western edge of Golden Gate Park. Proposition H, which sought to block the project, was rejected by about 54 percent of voters. installation of nighttime lighting and artificial turf during park renovation projects if an environmental impact report by city officials determines the changes will double usage of the site, was approved by roughly 55 percent of voters, according to unofficial election results. The video of a group of techies scrapping with a group of young people over the use of soccer fields in San Francisco’s Mission has sent one undeniable message loud and clear: People in the city are passionate about their soccer fields. Joe Rosato Jr. reports. Those who came out in favor of the turf and lighting project include the San Francisco Chamber of Commerce, the San Francisco Democratic Party, as well as the City Fields Foundation, which is managed by the sons of the founders of Gap Inc., William, Robert and John Fisher, among others. Critics of the artificial turf and nighttime lighting in Golden Gate Park said that while it might allow more soccer players to enjoy the athletic fields later into the evening, newly designed real grass fields with below-ground drainage systems and proper maintenance would suffice while posing no threat to the natural beauty of the park. Critics also said that nighttime lighting on the fields would be visible from Ocean Beach and would spoil one of the few natural spaces left in the city. 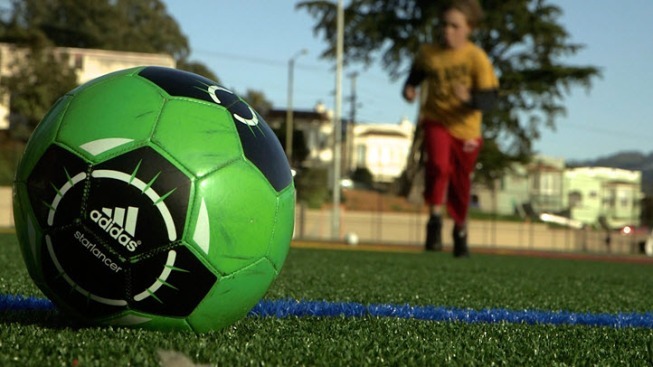 Those who stood against the artificial turf and lighting include the Sierra Club, Golden Gate Audubon Society and 44 groups that make up the Coalition for San Francisco Neighborhoods, among others.